Loved this hostel. Get so much fun.! Could not fault, BEST hostel I’ve ever been too. Good location, they have free breakfast and free whiskey as well. Easy to meet other people here. Staff is so helpful and friendly. Always happy to help you. Anna is the best staff. She made you feel this hostel like your home. I only spent one night there. The staff helped me book a bus to Thakhek and included transport to the bus station, could probably pay less if I did it on my own, but that's the price of convenience. They checked me in when I arrived at midnight, I really appreciated that, as well as the lock boxes, nice touch. Great atmosphere and such kind staff. Everyone who stays here tends to be going in the same direction, so it’s nice to find people who you can travel with or meet up with later in your travels. 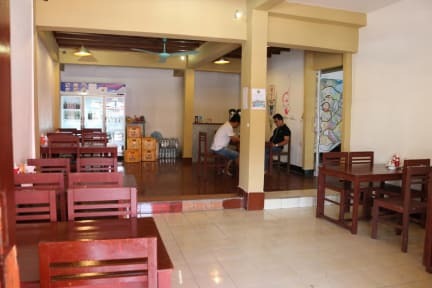 Nice hostel, staff are chilled out and friendly and will help you out with bus trips and visas. Pretty central to everything there is to see in Vientiane, free whisky was a bonus as well. 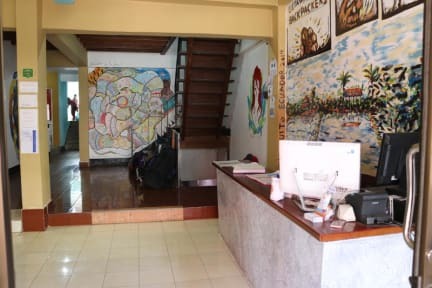 Whilst our hostel room was full of mosquitoes and the shower facilities were quite far from our room, i cannot say enough for the staff here. They were so helpful and when a problem arose with our visa that we needed that day they were so quick to help us sort things. 10/10 service and we’re so grateful. They also let us print extra pages free of charge which was wonderful and the food on offer at this hostel was great too. The room was quite loud and had zero privacy (three beds in a small room, no curtains or dividers). The locking box for my assigned bed didn’t work. They didn’t return my key or towel deposit when I checked out.